Falconer Electronics offers a variety of Magnetic Spotlights. 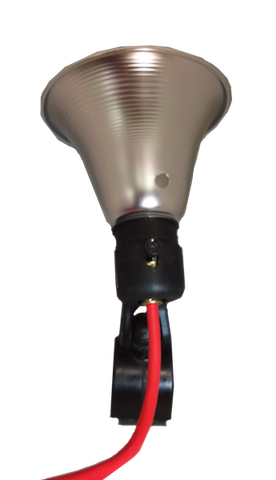 This adaption of our premium line of Spotlights features a cone shape 5-1/2″ reflector. 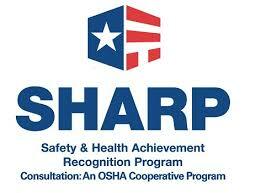 Perfect for concentrating the illumination to a specific area which is invaluable for close work situations. Especially where maximum illumination is desired. The durable magnet delivers a 45 pull and provides you the flexibility to attach to any ferrous metal surface. The light comes fully adjustable allowing you to place lighting where needed and the freedom to work hands-free. This magnetic spotlight is assembled in the U.S. with components that are purchased domestically and globally. Buy Direct! No Middleman! No Additional Markups! Take advantage of the tremendous savings when you buy directly from the manufacturer at Falconer Electronics. 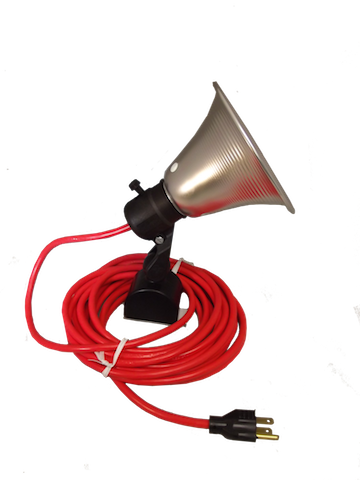 These dependable and long-lasting Magnetic Spotlights work perfectly in industrial and warehouse settings as well as projects around your office or home. 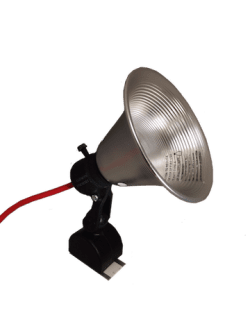 Protective Reflector: This Magnetic Spotlight comes equipped with a 5 1/2″ metal reflector that permits targeted lighting as well as immediate bulb replacement (light bulb sold separately). Power Cord: Powered by a 25′ 18/3 SJ-UL cord offering plenty of reach for challenging work areas. The three prong grounded cord works ideally in industrial and warehouse settings. 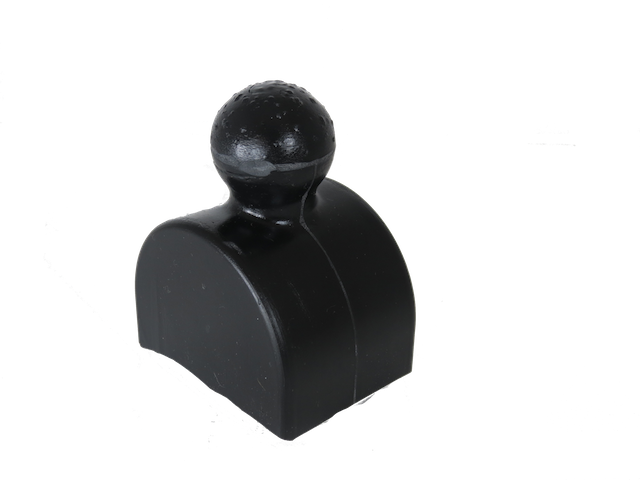 Sturdy Nylon Handle: The sturdy nylon handle clamps securely to the ball mounted magnet – allowing you 360-degree circular rotation with full pendulum tilt – providing necessary lighting for targeted areas. Magnet: Falconer Electronics offers its signature line of Heavy Duty Industrial Magnets. 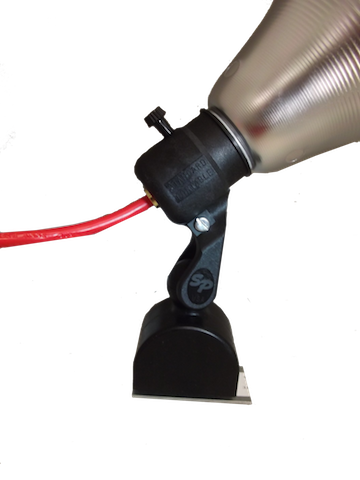 Magnetic Trouble Lights include a sturdy ceramic magnetic base that provides a holding power of 45 lbs. The Falconer Electronics #4C Stock Magnet is manufactured with a durable urethane rubber coating that is corrosion resistant. 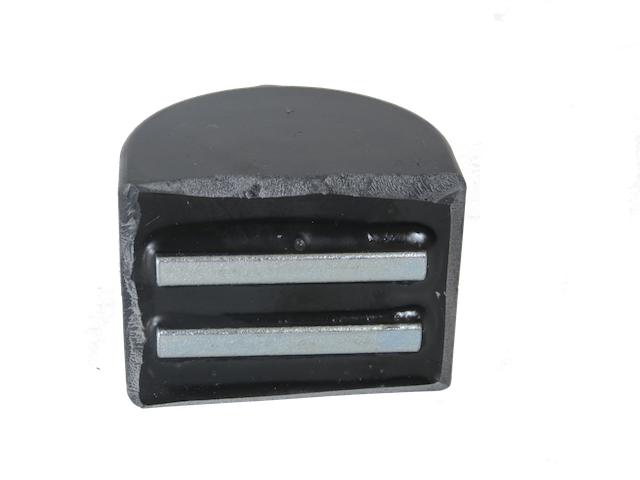 The magnet measures 2-1/2″ x 1-15/16″ x 3-3/8″. Falconer Electronics Signature Industrial Magnets are exclusively produced in the USA at our manufacturing facility. Convenient: The Magnetic Spotlight measures 11″ in height allowing convenient storage occupying a minimum amount of space. 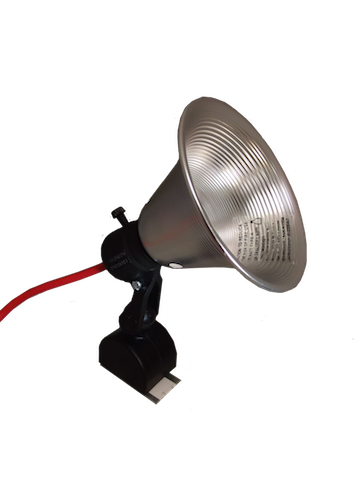 Weighing in at just 3 lbs provides lightweight flexibility to place the spotlight in difficult areas that require additional lighting.